The variety of things that people got from 21 Days to a Quiet Mind is extraordinary – being able to trigger deep levels of peacefulness with just breathing is just one of those things. There were lots of stories about breakthroughs into a new depth of relationship, problem solving and even extraordinary healing. People talked about deeper bonds with their horse and a new level of trust together. There were life changing things happening – one lady who had had a very difficult life brought me to tears of happiness when I read that she felt safe for the first time ever. Tears of happiness happened quite often as I read my emails – it was lovely! More than one person commented on finding a new ability to deal with stressful family situations and to help others in those circumstances too and you’ll read about another who even rediscovered her vocation and passion for life. Wow I never knew that it could be like this with my horse. Well I have finally listened to all 21 days – WOW is all I can say about this last one!! 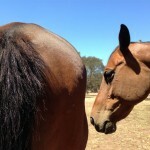 Sasha continues to bond more and more with me, using the head collar less and less to move her about with the others. Thank you Jenny again – don’t know what you are going to come up with next but it will be hard to beat! A great big THANK YOU from my heart. I had gotten in the habit of not spending time with them after my car accident and had a fairly serious TBI (Traumatic Brain Injury) – had real difficulty with my emotions. I just never knew how to get out of that state except to wait- but now I can go out anytime with a quiet mind and it has quite literally changed my life. I’m sure you hear that a lot! I knew Tiny had a hard time before, just from all the scars, and he was so angry… but we are getting through it now and healing. I feel happy, not hesitant and concerned when I go out to see him – he walks right up to me when I open the pasture gate and so relaxed…puts his head right in the halter and looks at me like “OK, what’s next?” It’s a miracle and all thanks to you for showing the way for both of us and helping me find a way to communicate. Just wanted to let you know that I think your course is brilliant. I am only up to day 4 but loving it. It is easy, succinct and powerful. My horses are loving the opportunity to have me in this zone. Doing it with 3 of them at liberty and so very powerful for all of us. 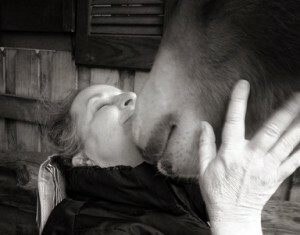 Since doing the quiet mind sessions, I have found that my horse Meg and I are forming a lovely bond. The most remarkable day I had was a few days ago – When Meg has a lay down she looks so beautiful and I just longed to be able to walk up and just stroke her face. Well this has never happened as her ears go flat against her neck and then she springs up so fast & any thought of this being a lovely thing to do is soon gone from my mind. Well the other day as she was laying, I noticed a stone in her muddy front hoof. I thought, well now would be an awesome time to get that stone out while she is lying there. Well I went and got the pick, walked over to her keeping a safe distance should she spring up, and asked her (in my mind) to please stay there relaxed while I quickly clean out your hoof, I’m not going to hurt you. To my utter surprise she did just that! There were no flat ears on her neck, she watched as I cleaned out the rock and then the mud, & just continued to lay there after I was done. I thanked her for her kindness and told her I feel ever so proud that we can share a moment like this. I was able to stroke her face then turned and walked away with my heart beaming, my smile wider than my face and couldn’t wait to race inside and tell my daughter who was visiting what just happened. A few minutes into the meditation, while you were still speaking, I heard a tapping on the fence in front of me. My chair sits about 8 feet from the fence. And the tapping or scraping sound was just to my left. “That’s not the girls”, I thought. So, I opened my eyes. Right on the rail, looking straight at me, was a bird. What kind? No idea. He was about 10 inches tall, greyish, some white. We sat and looked at each other for a few seconds. 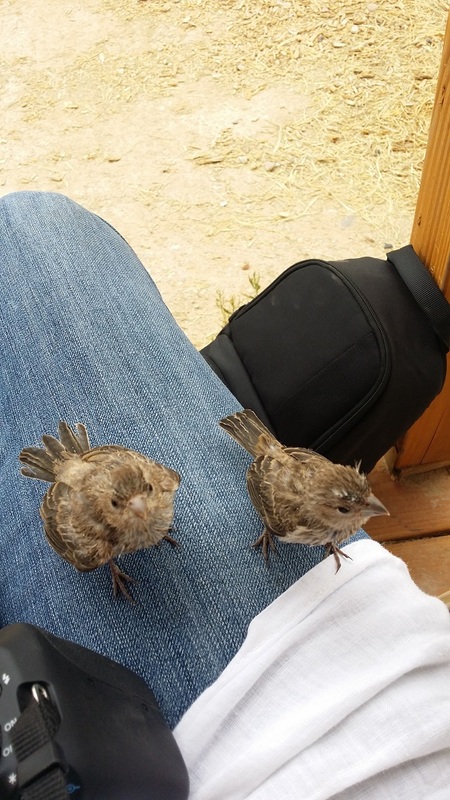 Deva’s voice grew louder and he flew away. I closed my eyes, breathed in the glorious moment and continued the meditation. Totally loving and appreciating the program. I can feel and see a difference in myself and how my horses respond to me. … Finding that pause in my breath has been helpful these last several days of handling stress and trying to be the best support to my family that I can be. I noticed with my horse that when I settled in and became more rhythmic in my breathing, and consistent with my pauses, that she relaxed, sighed, and began a very calm quiet breathing of her own. 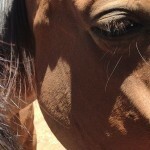 I am learning to notice quicker when I don’t have “Aahhh” eyes…..for myself, and for my horse. My horse is the best teacher. As we are working on something, if she doesn’t respond to my request, I’m learning to check MYSELF…….my breath, my intention, my kindness. she is reinforcing over and over that a kind loving request, with patience, will connect us. I was asking her onto the trailer, which has been our big ongoing work in progress, and was asking quietly, gently and patiently……she took a couple steps forward and stopped. No drama. Just stopped. And that’s when MY learning moment occurred: I didn’t have soft, smiling AAHH eyes, and as soon as I shifted, she stepped forward and entered the trailer like she was walking on a cloud. It was beautiful. Jenny, just wanted to say thank you for that meditation. Wow, it felt like coming home. 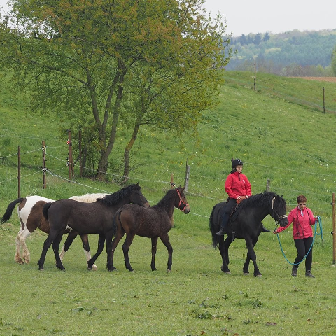 I loved them, I find my Quiet Mind easier and deeper now, with a whole new level of connection to my horses. 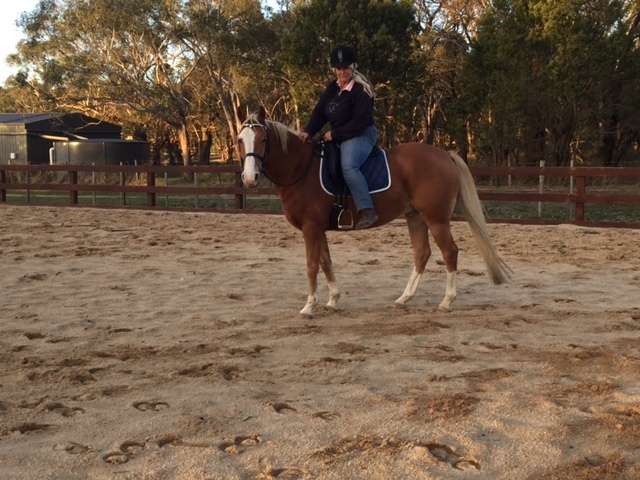 I also released a deeper flexibility in my pelvis as I ride, so I’m more physically connected to my horse as well. I just wanted to again thank you for your inspiration to be different with my horses. Thank you so very much for this great Quiet Mind meditation course – I have really enjoyed it and learned a huge amount. Without wishing to bore you I just want to say that as a result of these meditations I am now reunited with my vocation and that was a brilliant break through for me. …just by realising that the challenges are my soul trying to tell me what I needed to change in order to reach my dream. I’ve come to some fundamental understandings – changes are afoot! And, the most important of these is that I am now energetically throwing the doors open wide to my healing practice once again and the difference I feel inside is amazing! Wow, Jenny, I loved this first day!!! I often listen to Deva (love, love, love, her voice) and Miten 🙂 This was an overall wonderful and delightful meditation. Well done Jenny – I so love everything you teach!!! You are truly awesome, such an inspiration to us all. I have never before in my life sat next to a sleeping horse. So I decided that I will try how my filly will react if I sit next to her when she is sleeping on the ground. She was welcoming and allowed me to join her company. There I was sitting on the field two fillies sleeping next to me. Completely in peace with them and surrounding nature. Sun shining and birds singing. It did not take long before Troy joined us. Amazing! And what an honor to me. There was this incredible peaceful energy floating around us. Since I have practised Tai Chi for 15 years I am very aware of the flow of energy. Only West Wind was still standing. After all she is the lead mare and in charge of the herd. She is also a horse who was abandoned in the forest in the wilderness with her foal and herd when her previous owner seriously fell ill. She was saved from starvation by the breeder of my three other horses. So she is the only horse in the herd with traumatic experience. She could not resist the pull of this peaceful energy surrounding us. And there we were all lying on the field recharging our batteries. What a beautiful experience! Thank you Jenny! 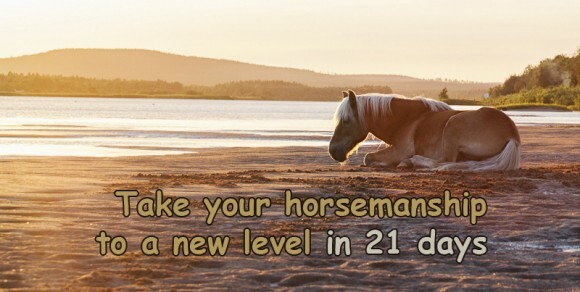 Your lessons have really helped me to progress in my relationship with my horses. 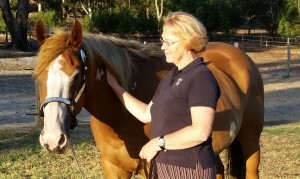 I feel that your approach is very holistic and really suits my way of being with horses and living beings. …Maru and I just want to thank you for your 21 Days Meditation. After a couple of days, it all has ended so soon. Funny how the universe organises things, isn’t it? The Quiet Mind course coincided with my horse having a bad bout of laminitis and my reading an article about rehab (or rehabbing) horses and how our guilt about what was done to them and our anxiety to help them get “better” can really get in the way of that. Previously, when my horse had laminitis I would be very worried about the pain he was in and if he was getting better. I knew in my head that giving attention to the things I don’t want gave them more energy but the diagnosis of laminitis has always thrown me into reaction (panic) mode and focused my energy and my horse’s energy on how “bad” he felt. Surprise, surprise – he has been able to use his energies to get better and I have been able to see the small signs every day that he is improving and things are going to be OK. Treatment has included walking in hand and I have used my “perfect posture” as an example for him to mirror. It has been very pleasing to see him relax into the walk and enjoy our connection. How do I say this……WOW!!!!!!! I have been a bit behind you this week, but I have kept up with the meditations, if not all the horse exercises. Friday as I did the meditation, my lower back released. I found myself wanting to flex my spine for the next hour or so. Saturday, was largely uneventful. This morning. I did the meditation and felt my lower back trying to release again. Not as easy this time. No images or strong feelings, just calm. I did notice when I walked around that I felt inches taller! I also had to do some yoga stretches because my back felt all wrong. I decided to get to the bottom of a “problem”. Saturday’s question was obviously not the right one for now. Today’s must have been. So I thought about why my horse still didn’t trust my leadership. Why we always get stuck so far, then get no further. I have tried all sorts of methods, trainers etc.. you know the deal. Some good, others great for a while. But still we revert back to the same problem. I have always known my riding seat needs improving (that is the next part of my journey). But there is more to all of this. Tonight just before I went out to my boys, I had to pop out the rubbish at the back door. Here was my grey (Goblin is his name and nature!). He couldn’t get any closer to the house and called out to me when he saw me. Then the pony and my chestnut too. I just thought they were looking for dinner so said Hello and told them in about half an hour. I went out, mixed feeds, with my chestnut (Buddy) watching and nickering as usual. The pony (Shaney) too in his spot. Goblin had gone walkabout. Usually has a pee before dinner. Not a problem. I came out as usual with the feed buckets. Buddy first. Then over to Shaney, but no Goblin. I looked over, yep having a pee in the far corner. I called out to him and well……………….HE saw me, and as he finished his pee, he pigrooted, took off at a fast canter, bucked, kicked up his heels and flew to me. I was laughing the whole time at his exuberance. That is what that was! He never does this at feed time. He got to me, stopped dead and reached out to my hands. Not the feed bucket. He wanted to see me and touch me. So attentive and engaged. My heart took flight! He had been waiting for me all day to come out. I got to the bottom of the problem. I decided to trust my own gut and his gut from now on. No more listening to well-meaning people who don’t get my relationship with him. It became clear to me today to listen to him. My gut reactions first, then his. This is such a big deal today. Somehow my soul is saying yes and we can do it now. No more indecision here. No more doubting. IT SEEMS SO CLEAR NOW. I was singing out in the paddock, filling the water troughs. My heart was light as a feather. A southerly breeze came up and I just soaked in the beautiful evening. THANK YOU. Just had to share while it was fresh. A day later… I still feel great. Like I am whole again. Day 2 meditation: 10 minutes later when I open my eyes. Surprise! Lorrie, Gus, Arwen and Merri (2 from my paddock, 2 from next door) were all within 4 feet of me, sitting on that rock, and silent. ALL Heads-down, eyes half shut. I felt like it was holy. A moment I will cherish. Forever. Thank you again. I was in a world mentally and spiritually of chaos and stress and I have felt that lift and dissipate. George has changed too – he is quiet, calm and involved / it seems the chaos in his life is dissipating as well. Thank you for your amazing programme and continual support. I look forward to delving into the fast track to brilliant riding programme. 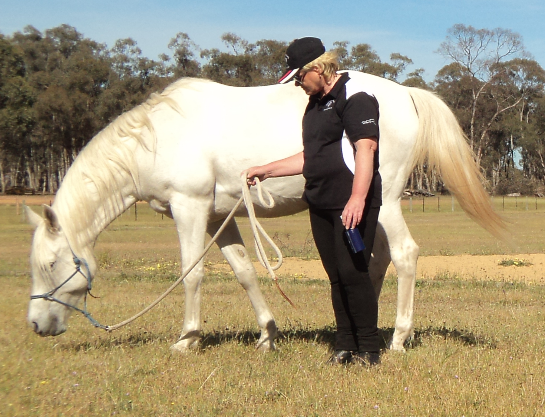 My great moment after the Quiet Mind program happened when I was helping out at Riding for Disabled. 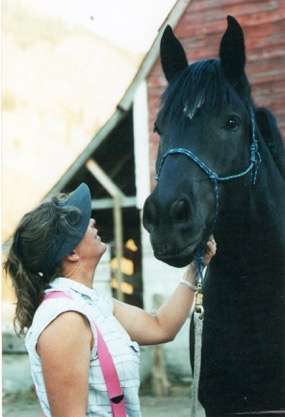 One of the riders, who suffers from ADD was riding her thoroughbred, Rocky. We were in an enclosed arena, the wind was howling and the rain crashing down on the tin roof. She was having a jumping lesson and her horse was going absolutely berserk. I was asked to hold a Rocky and another horse whilst the riders were given instruction on the ground. I decided to try quiet mind with the two horses but focusing on Rocky. So I just stood still next to them and tried Quiet Mind. I was amazed at how quickly both horses started to relax. It seemed a short time before Rocky was licking and chewing, had dropped his head and softened his eyes. I just stood and then ever so gently, with my hand flat on his nose asked him to move one foot backwards. He managed it so we continued to stand quietly for a while, then I asked him to move his next foot. He achieved this, dropped his head, blew out and relaxed completely. And both horses stood quietly, heads dropped in relaxation, whilst the storm continued to belt around us. It was a good feeling. Thanks! Click the image below to go back and see what you get in the 21 Days to a Quiet Mind program (and to sign up)!